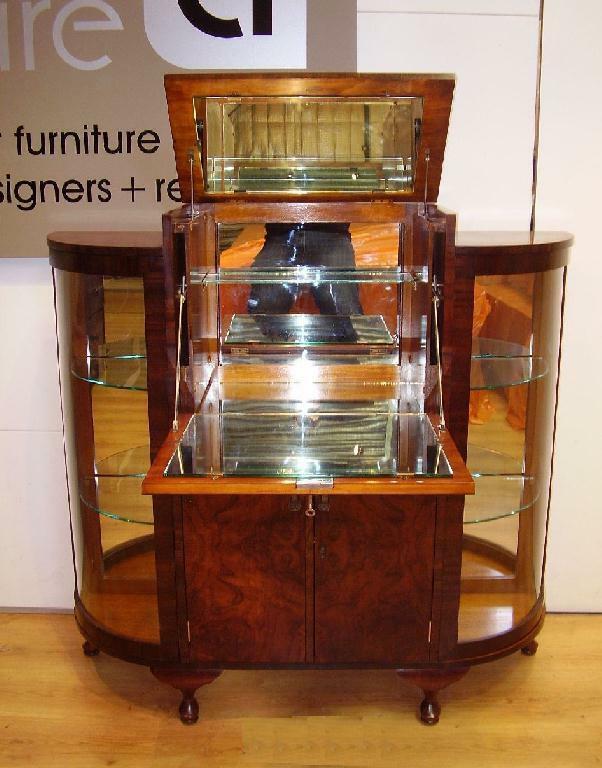 If you are looking at having your vintage furniture restored, you can't go past Aubert Furniture for quality and service. 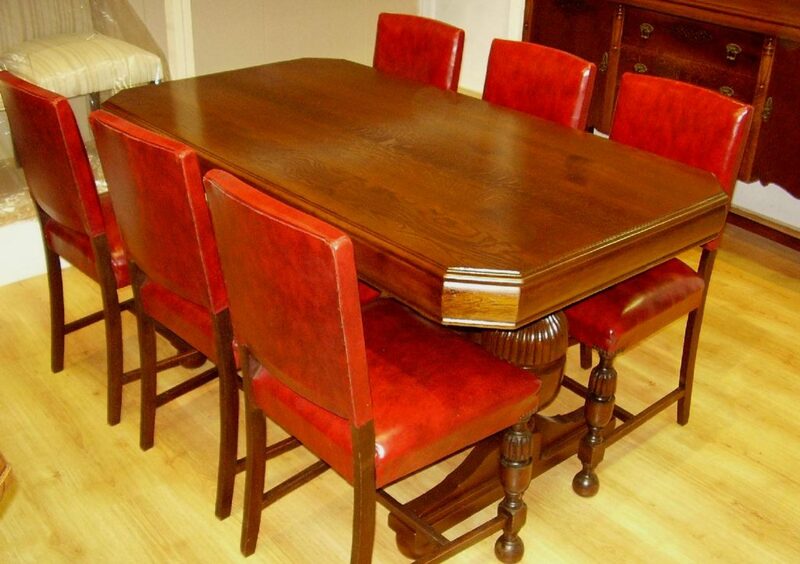 We specialise in restoring antique and vintage style furniture back to its former glory. 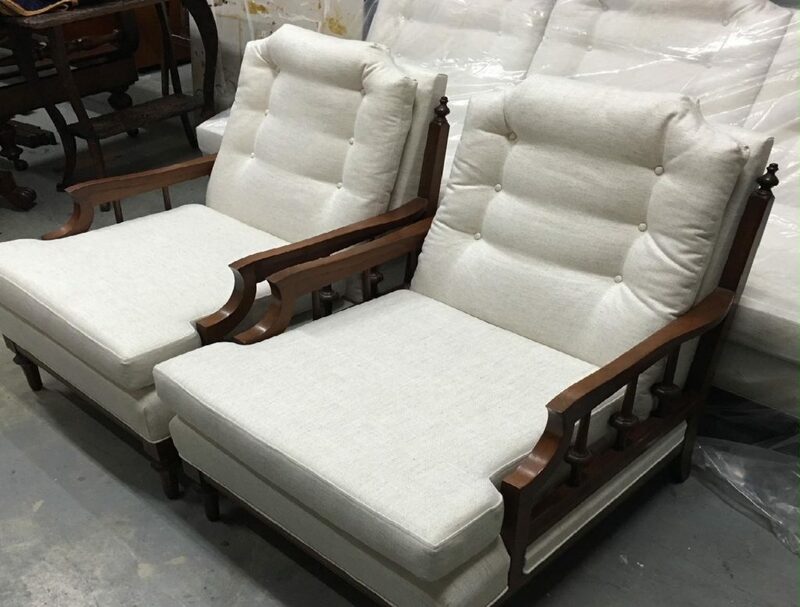 Our furniture restoration service covers all areas of Sydney and we can arrange pickup and delivery Sydney wide. Our services range from detailed repair work and conservation to complete restoration services including traditional polishing and upholstery work. All types of vintage furniture restoration. Polishing and veneer repair work. 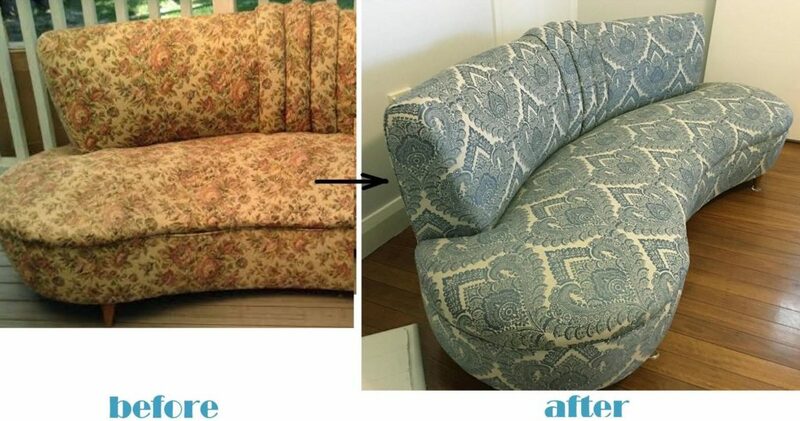 Upholstery and recover of vintage pieces. 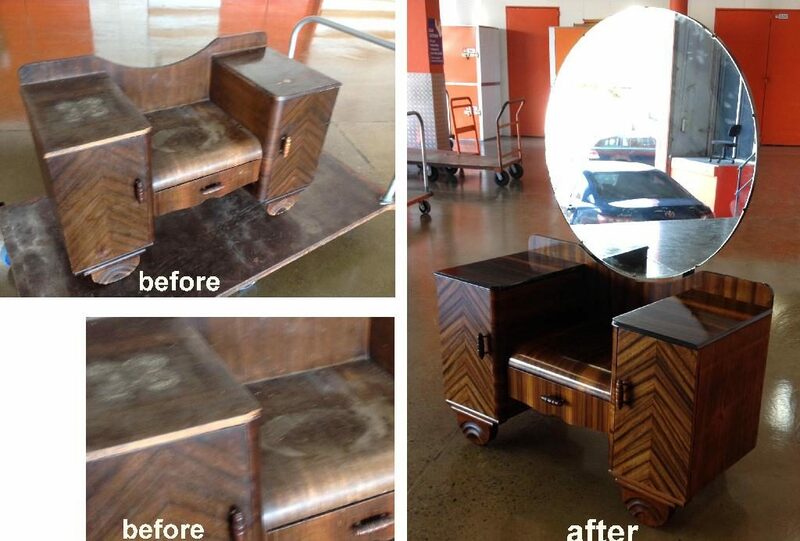 Full restoration of art deco dressing table c1940. Dissolve the damaged existing finish and totally restore to its former glory. Veneer repair work and traditionally hand polish. 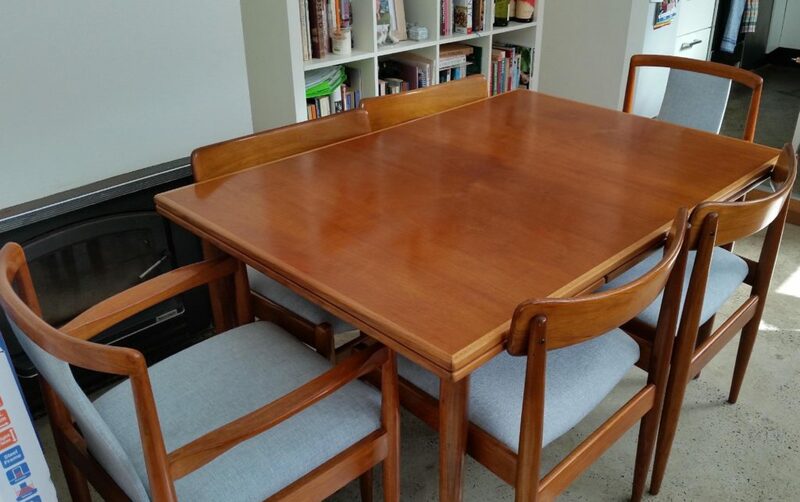 Restoration Parker Furniture dining table and chairs. We recently restored this classic 1970s Parker dining table and chairs for a client. 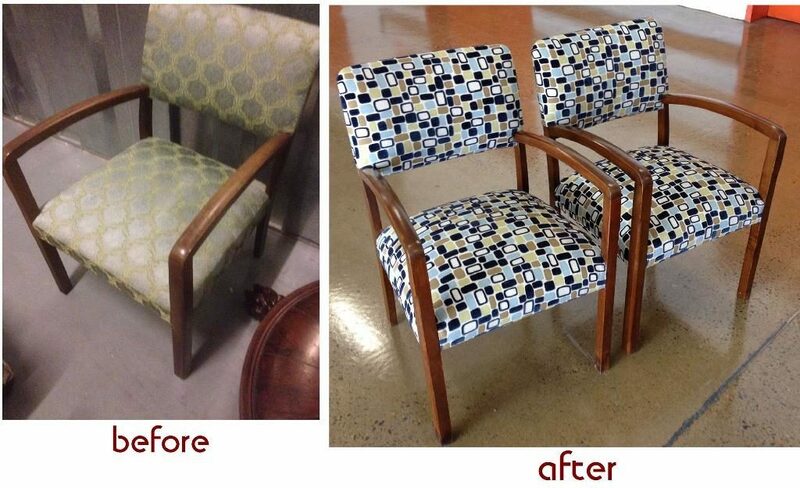 The chairs were also reupholstered and recovered in the process. The result was fantastic. 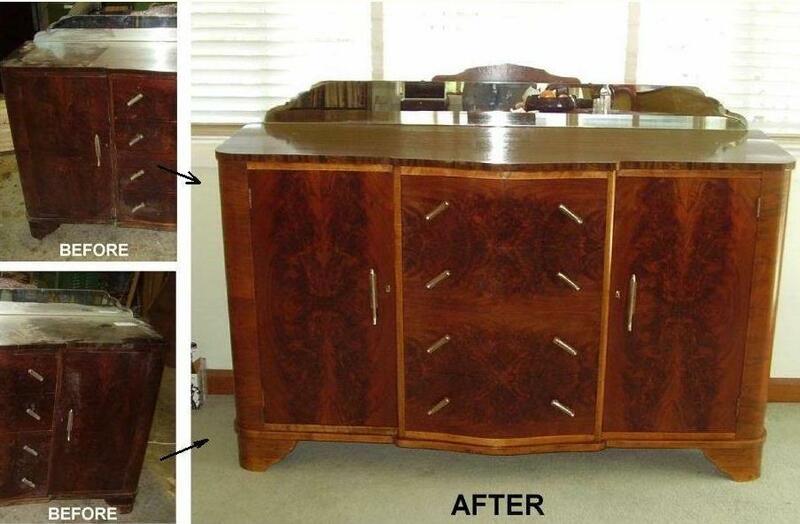 Full restoration and repair of 1930s art deco sideboard. 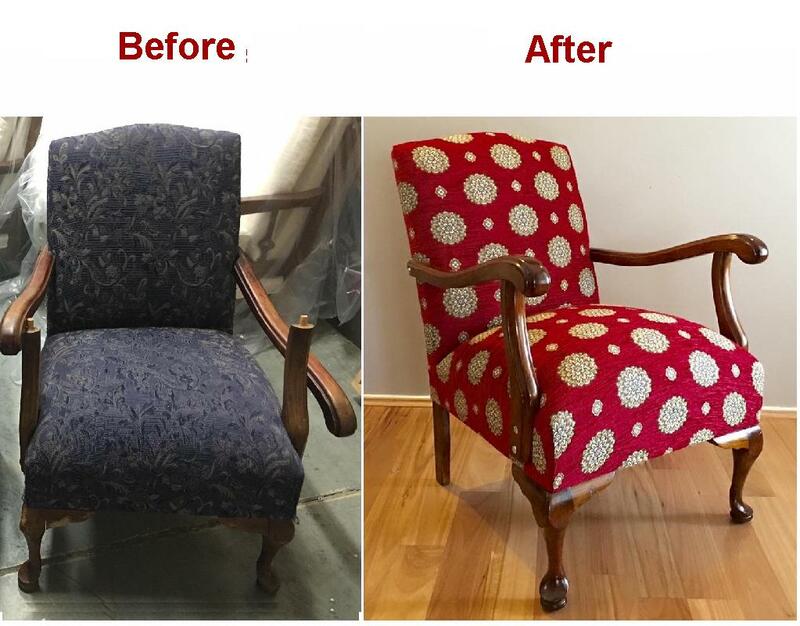 Reupholster & Recover Vintage Armchair. Restoration and repair work carried out to timber sections. 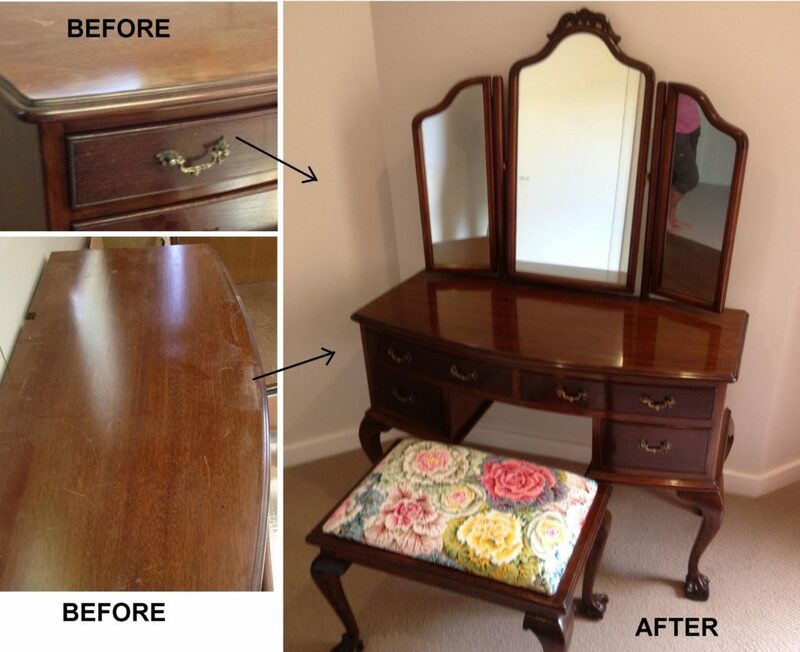 We recently restored this fantastic Queen Anne dressing table for Ruth from Bondi Junction. Restoration of two bridge chairs while retaining the original timber colour. Fully reupholstered and recovered. 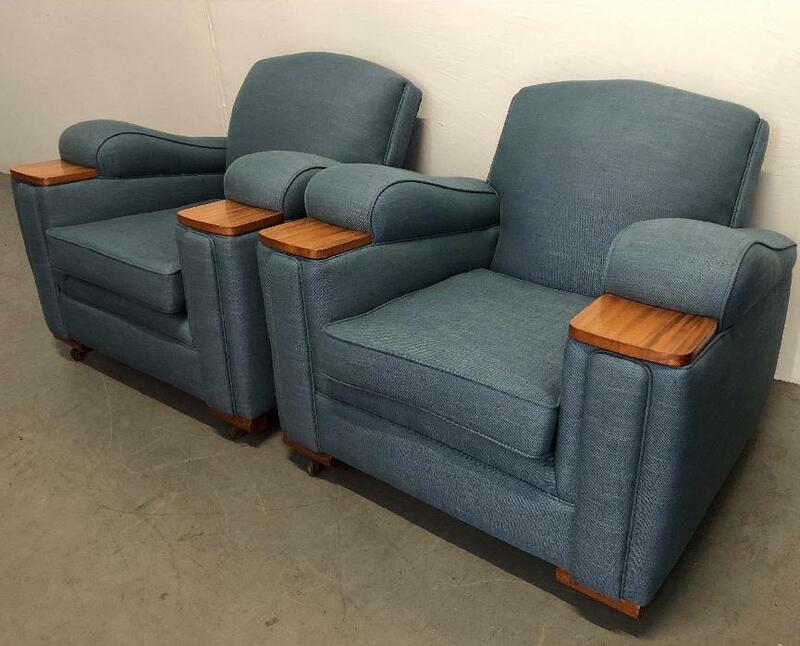 Reupholster and recover Parker lounge suite consisting of a three seater sofa and two single arm chairs. Reupholster and recover 8 x 1970s dining chairs. Reupholster and recover 8 x 1970s dining chairs in brown leather. Verica was very fond of her 1970s dining chairs. When she renovated her house she felt it would make sense to update the fabric, get new foam in the cushions and touch up the finish. 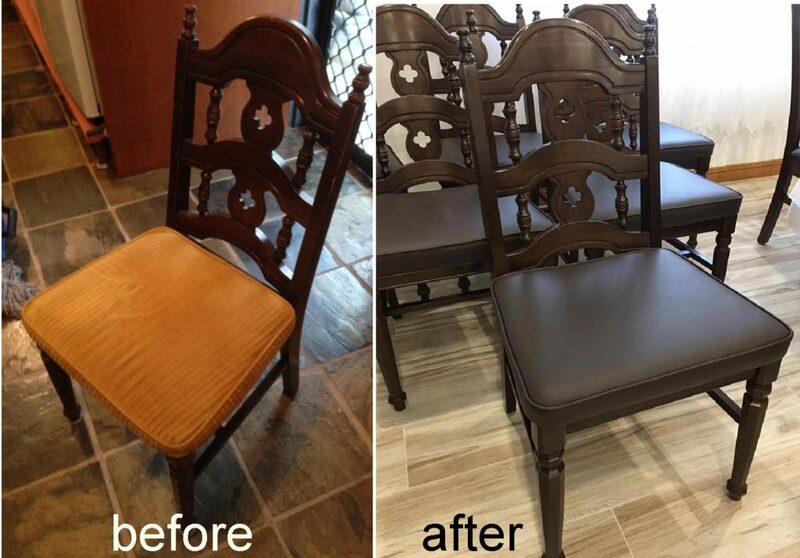 The result was fantastic and the chairs now blend in perfectly with her new reno. The leather is Puccini Mudcake from Leather Italia. This 1930s Art Deco sofa was on its last leg when we received it. The internal frame was broken and warped and support joints snapped. After much TLC we restored and re-upholstered the sofa back to its former glory. Fabric is Luxembourg Cornflower by Warwick Fabrics. 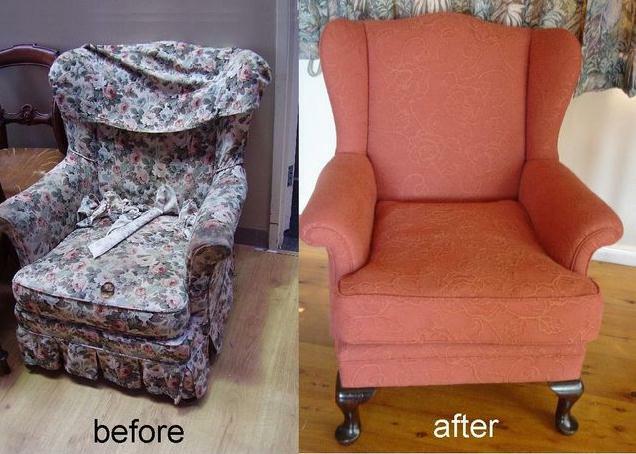 We recently completed restoration of this fantastic 1930s armchair for a customer. 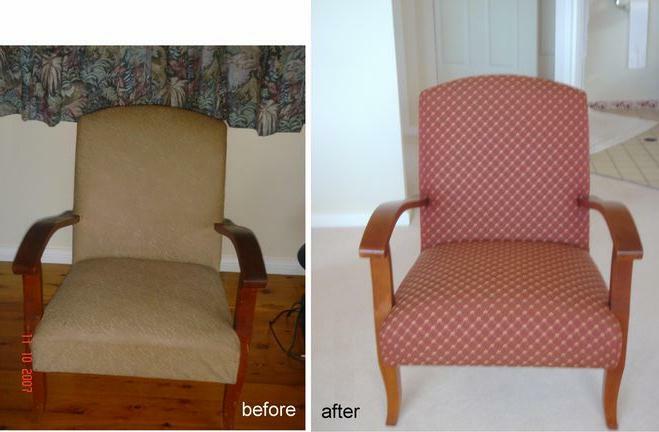 Traditionally reupholstered including coil sprung seat, hand polished and recovered. The customer was over the moon when they saw the result of our hard work. Restoration of Jacobean dining table and chairs c1930s. Full restoration, repair loose chair frame joints. We retained the retro vinyl which was added around the 1960s. 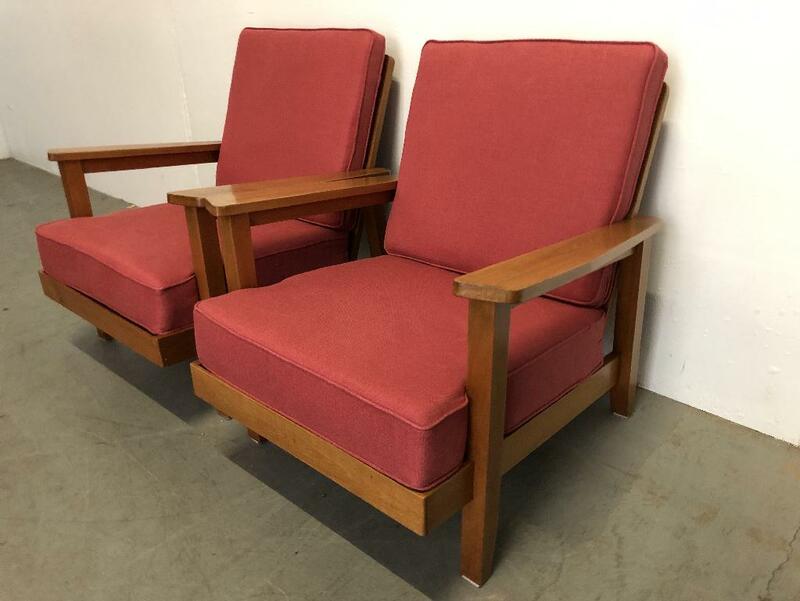 Mid-Century TV Chair. Restoration and Reupholster. This Mid-Century TV chair required full re-springing of the seat and new upholstery. The customer also requested the have the timber restored to a natural honey colour. Note - Customer meetings are by appointment ONLY.